NABJ members at the Great Wall in Beijing, China. Shanghai, China (Dec. 3, 2018) - A delegation of National Association of Black Journalists (NABJ) members is wrapping up a week-long reporting project in China covering innovation, trade and reform as U.S. President Donald Trump and Chinese President Xi Jinping announced progress at the G20 Summit in resolving trade disputes between the two countries. The delegation of 12 seasoned and emerging journalists visited Beijing, Anhui Province and Shanghai. The inaugural NABJ reporting trip to China was named after Les Payne, NABJ's fourth president and founder, for his work to encourage foreign correspondency. "The heart of the NABJ reporting mission to China is to support and encourage reporting abroad by NABJ members, to further develop a pipeline of future foreign correspondents, and to provide specialized skills training to journalists to bring to their beats back in the U.S.," said NABJ President Sarah Glover, who led the mission. President Glover shared that while routinely watching the news a year ago, it was becoming crystal clear to her that the big story this year was going to be the world's second largest economy - China. "My immediate thought, when thinking about the future of journalism, is that NABJ members need to be at the forefront of telling the big story and bringing much needed perspective," she said. 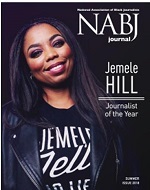 "I've sought to heighten NABJ's position as a journalism industry leader during my administration and garner support of substantive projects to that end." President Glover was determined that NABJ go to China, and with the help of many supporters, including mission co-leader John Yearwood, a year later this dream has become a reality. "This was a remarkable mission. We were given incredible access to a cross-section of the Chinese community on the trip," said Yearwood. 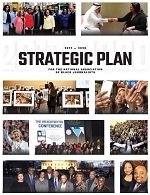 "It shows that almost 44 years after NABJ was founded, the organization is still demonstrating a pioneering spirit." President Glover said she hopes for the reporting trip to China to become an annual journey; establishing the NABJ Media Institute Global with purposeful NABJ programs abroad, and encouraging an expansion of future projects and professional development. "It was an eye-opening experience. I learned a lot about China. I learned a lot about its people, its political system, its history, its economic system," said NABJ Founder Joe Davidson, adding that he was very glad to be there with NABJ. "I thought this was a very good trip for NABJ to do -- to introduce a number of people to China, especially emerging journalists." Five NABJ student members were selected for an all-expenses paid scholarship: Christiana Ford (Kent State University), Shannon Simmons (Winthrop University), Shayla Simmons (Tennessee State University), Belynda Wesley (FAMU), and Kyla Wright (Hampton University). Others included on the reporting mission included: Rochelle Riley, Tamara Payne, Skyler Glover and Greer Wilson. NABJ will publish stories from China over the next month, develop a portal where the work can be housed and identify publications interested in publishing the work. If your publication is interested, please contact President Glover at nabjpresident21@gmail.com. NABJ acknowledges the logistics assistance from the China Report Press staff led by Zhao Jun, the Chinese consulate in Houston and the State Council Information Office of the People's Republic of China.